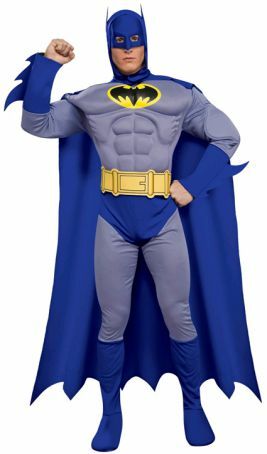 In this Batman Costume team up with different superheroes and together you'll save the city and have a great time at the party. In blue and yellow with the Batman symbol on the chest, just like Batman's Costume in The Brave and The Bold series. With a muscle jumpsuit, attached boot tops, headpiece and his cape all included, all you need now are your fellow superheroes.